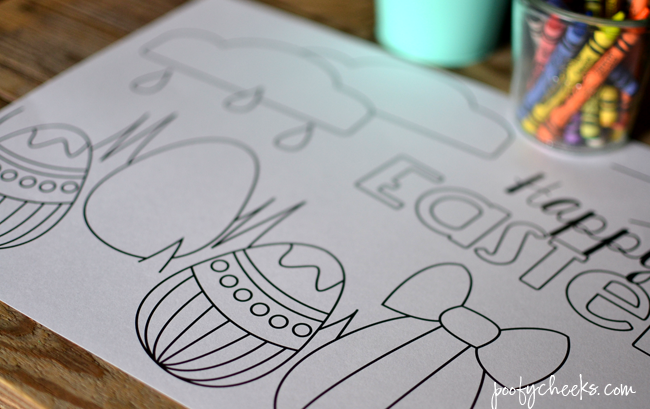 Last year I was a contributor for See Vanessa Craft and shared this printable over there. 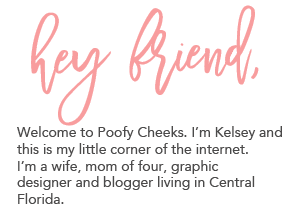 I wanted to share it here on Poofy Cheeks too! We host Easter at our house every year and this year is no different. We are having brunch and I’m making a ham. Everyone else brings a side and anything else they want to include for our meal. As our family has grown (thanks to Mike and I for popping out a kid every 2 years or so) the number of spots at the kids table has grown too. 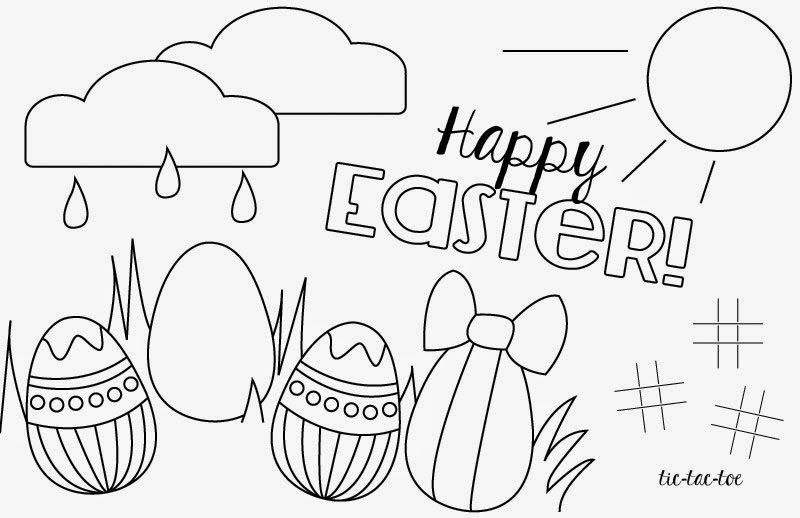 Keeping the kids busy between dinner and our annual Easter egg hunt is the hardest part of the whole day. 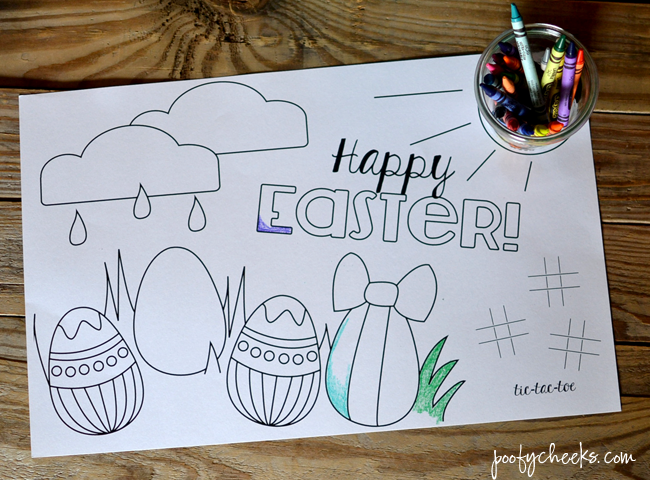 I designed these placemats in hopes of keeping all the kids occupied while we finish up dinner and set up the egg hunt. 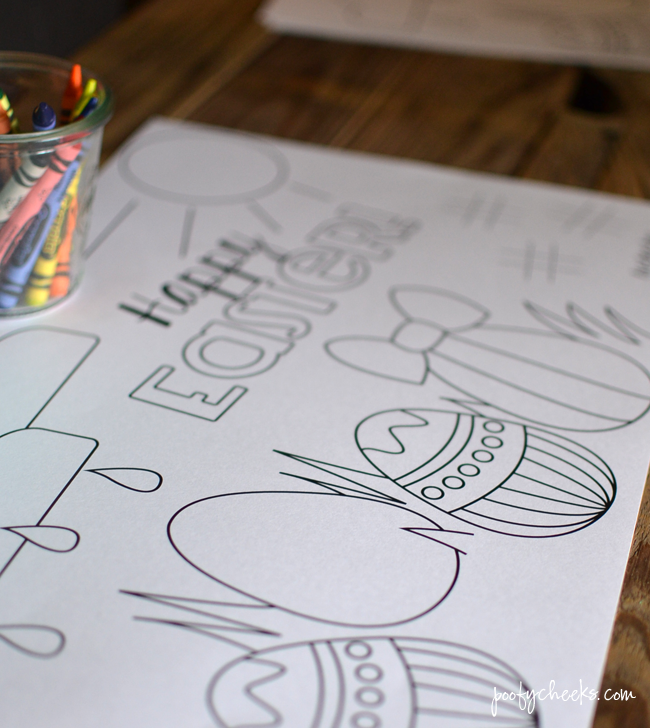 All of my kids love to color so I created printable coloring page placemats as the main part of their table setting. I picked up a few packs of washable coloring crayons and printed the placemats onto 11×17 cardstock. To print your placemats open the printable file HERE and print on your home printer . I wanted mine to be on 11×17 paper I had them printed at my local print store for less than $0.50 each. I was so pleased with how they turned out and can’t wait to see how the kids color each one again this year. A heads up – normally I print everything from home. In October of 2015 I got an HP printer and signed up for HP Instant Ink. I pay $2.99 per month, my printer orders the ink and then it shows up at my door so I never even have to think about it. Use my code INSTANT3 and get the first 3 months free. I print all my printables on white cardstock using my HP printer with HP Instant Ink. While you are at it stop paying a kajillion dollars for white cardstock – they sell 150 sheets of Georgia Pacific brand 110lb cardstock for $5.49 at Walmart! Don’t say I never helped you save a few dollars.